...the Tornado Warning For Central Madison County Will Expire At 630 Pm Cdt... The Storm Which Prompted The Warning No Longer Appears Capable Of Producing A Tornado. Therefore, The Warning Will Be Allowed To Expire. Strong Winds And Small Hail Are Still A Possibility. A Severe Thunderstorm Watch Remains In Effect Until 1000 Pm Cdt For ...Read More. The National Weather Service In Austin San Antonio Has Issued A * Severe Thunderstorm Warning For... Dewitt County In South Central Texas... Lavaca County In South Central Texas... * Until 730 Pm Cdt. * At 625 Pm Cdt, Severe Thunderstorms Were Located Along A Line ...Read More. ...a Severe Thunderstorm Warning Remains In Effect Until 645 Pm Cdt For Northwestern Jim Wells And Southeastern Live Oak Counties... At 622 Pm Cdt, Severe Thunderstorms Were Located Along A Line Extending From Near Mount Lucas To 6 Miles West Of Tecalote, Moving East At 30 Mph. Hazard...60 Mph Wind Gusts And Nickel Size Hail. ...Read More. EAST TEXAS – The April unemployment rate in Texas held steady despite the addition of 30,400 seasonally adjusted nonfarm jobs. The state has also added jobs in 24 of the last 25 months, according to data released by the Texas Workforce Commission (TWC). The TWC released its monthly unemployment statistics for April 2017 on Friday, May 19 and the data showed the state’s unemployment rate holding steady at five percent from March to April. The April 2017 mark was, however, slightly higher than the April 2016 unemployment rate which came in at 4.6 percent. Statewide, the highest unemployment level recorded was eight percent, in the McAllen-Edinburg-Mission Metropolitan Statistical Area (MSA) area. The lowest rate, at three percent, was in the Amarillo MSA. The nearest regional MSA is located in Tyler and came in at 4.1 percent for the month of February. While the state numbers showed an increase, the unemployment rates for the surrounding counties were a mixture of static rates, decreases and increases over the month-to-month timeframe. In Houston County, the unemployment rate for March came in at 4.6 percent, while the April rate decreased and came in at 4.2 percent for the month. The April 2017 rate was the same the unemployment rate posted in April 2016. 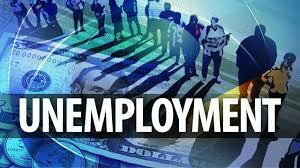 The unemployment rate in Anderson County also dropped as it fell from 4.1 percent in March to 3.7 percent in April. In addition, the April 2017 rate was lower than the four percent rate posted in April 2016. To the south, in Trinity County, the month-to-month rate fell from 6.8 percent in March to 6.3 percent in April. The 6.3 percent rate for April 2017, however, was higher than the 6.1 percent rate from a year ago. The unemployment rate in Cherokee County came in at 5.3 percent for March, while the April rate decreased and came in at 4.7 percent for the month. The April 2017 rate was also lower than April 2016 rate of 5.1 percent. The largest population center in the immediate area, Angelina County, showed a decline in the rate on a month-to-month basis as the figures revealed the unemployment rate dropping from 6.3 percent in March to 5.7 percent in April. The Angelina County unemployment rate for April 2017, however, was higher than in April of 2016, when the rate stood at 5.4 percent. On a month-to-month basis, Leon County posted the highest rate in the region. The statistical data indicated a decrease from 7.5 percent in March 2017 to seven percent in April 2017. The recent figures, however, pointed to an increase from the April 2016 unemployment rate of 6.1 percent. Rounding out the area counties, Madison County continued the trend and showed a decrease in the unemployment rate. The rate was 5.5 in March 2017 but dropped to 5.2 percent in April 2017. The April rate was, however, significantly higher than the 4.6 percent rate posted in April 2016.